Having antivirus software on your computer is a must. Virus destroys your computer and you always need to check for viruses on your computer if you want to stay safe. You can buy the antivirus software online but why buy software when you can use the free tools that are available on the internet. Here are five best free virus removal tools for your computer. Symantec gives you free virus removal tools, which you can download from here. This is a free spyware and virus removal tool that you can download for free from their website. Download these tools and check for viruses on your computer. When you download anything from an unreliable source, your computer might be infected with malicious software that try and modify your computer. Microsoft has a great free tool called Malicious Software Removal Tool, which is completely free. You can download the tool from here. AVERT Stinger is a great free tool from McAfee, which can be used to check for variety of threats that your computer might be facing. The virus definitions of this tool are updated regularly by McAfee so it makes a great virus removal tool for your computer. You can download McAfee AVERT Stinger from here. F-Secure offers a set of virus removal tools that are completely free. F-Secure is another option, another set of virus and malware removal tools for your computer, which can be downloaded from here. Make sure you download these tools and check for viruses on your computer. When it’s too late, you always use a Recovery disk to recover the operating system that’s lost to a virus. A recovery disk is an important tool to have ready, always. Do you know how to create a recovery disk for your computer? It doesn’t take much time to create a recovery disk and it helps you in more than one ways. Create a recovery disk for your computer today! Worried about your computer’s safety? Whenever you browse the Internet, remember, your computer is always at constant risk. At anytime your computer can get a virus infection and you won’t even realize it. And when your computer gets infected with a virus, the consequences can be really devastating. Getting worried? Here are five quick tips that can help protect your computer from all the potential intruders and emerging virus threats. Installing a latest antivirus is one of the safest ways to keep your computer secured from known and unknown threats. However, installing an antivirus is not enough. It is extremely important to update the antivirus on a regular basis and run automated scans regularly. It should automatically scan anything you download from the Internet. Antivirus can help detect and delete all malicious threats at the initial level. When you are connected to the Internet, always make sure your computer’s firewall is active. It prevents hackers and malicious programs from spying on you or damaging your computer. If you use a home wireless network, remember to make the network password-protected. However, if it isn’t, anyone within range can easily connect to it and spy on your Internet activity. Apart from this, whenever you are connected to a public network, never submit any kind of sensitive information like your account number. Note: Since hackers and malicious viruses are always looking for new ways to get into your computer to corrupt the data, it is recommended to take a backup. Safeguard the important items that are in your computer so they won’t be lost if a virus strikes, your computer crashes, or there is some other kind of disaster. Each day some new viruses are developed, which are aimed at damaging computers or the data stored on them. To counter this problem, antivirus programmers develop new virus definitions and updates for dealing with new security threats. Though there are many antivirus and antispyware programs available in the market, still there is a lot which we often neglect and fall prey to these attacks. Let us see some ways by which we can protect our computers. Step 1. Backups – It is good to implement many security measures. You should regularly backup your hard drive or folders to stay protected and prepared to deal with situations of hard drive failures or data damage caused by viruses. Step 2. 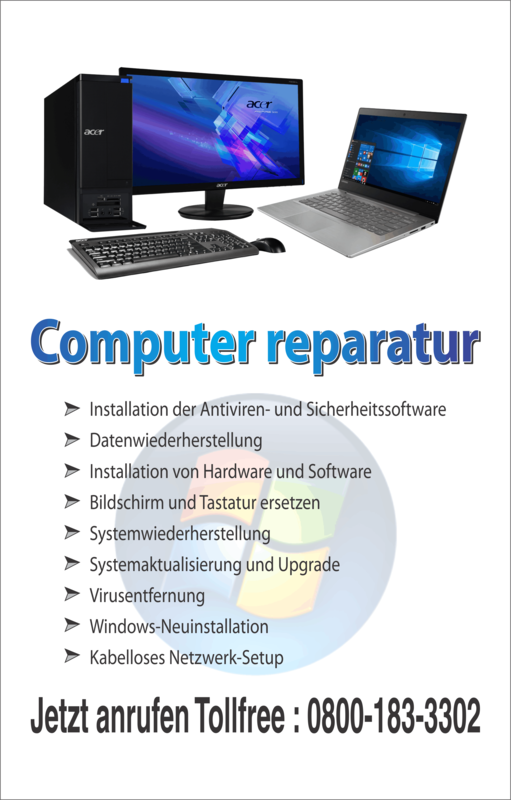 Installation Disks – You should always keep a separate copy of restore disks ready with you. These disks can be used for restoring the entire operating system along with the other software so that you can easily reinstall the entire operating system and software in case needed. Just imagine a situation when your operating system fails and you do not have any disk to reinstall it. Step 3. Firewall – Firewall is a software which protects your computer from any incoming infections, attacks, or intrusions. It works as a boundary of your computer and checks the authenticity of every data packet before it could enter your computer. Microsoft has bundled firewall in all its operating systems since Windows XP SP2 and you should always keep it ON and updated. Step 4. Antivirus – A good quality antivirus software has become a must for any computer and most of the computer manufacturers sell their computers with some good antivirus pre-installed on them. Antivirus software is necessary to detect and remove any kind of viruses. They work with the help of virus definitions and thus it is very important to keep your antivirus software regularly updated. Step 5. Windows Update – Since most of the viruses are written for Windows operating system, so even Microsoft regularly releases security updates to close all the loop holes for minimizing virus attacks. Thus it is always good to have Windows Update ON and let them install as and when required. Step 6. Be aware of security risks – Many a times while browsing through CDs, or websites we install many small games, programs, add-ons, plug-ins etc just for the sake of checking what they do. Try avoiding this habit. You should not install anything and everything on your computer as such files may carry infections. Also do not open e-mails which contain attachments and you do not know who the sender is. E-mail attachments are the easiest mode of spreading Internet viruses. Step 7. Use Strong Password – Always use strong password on your computer so that no one can access it without your consent. Keep your computer security tight enough so that an administrator password is required before installing any new application. Step 8. Use advanced web browsers – Web browsers are vulnerable to virus attacks. Most of the viruses are scripted keeping the architecture of specific browsers in mind. So if your browser gets infected, switch to some other browser with advanced security features. Step 9. Block spam – As already mentioned, e-mails are the easiest mode of spreading infections, so do install some kind of spam protection in your e-mail client so that spam mails are discarded. AntiVirus programs can be termed as a shield for your personal computer which protects your computer from any external threats. A threat can be anything like a virus, malware, spyware, Trojan, etc which spread through internet and any external devices like pen drive, floppy drive. These malicious programs can harm your computer in many ways. They multiply themselves and waste a large amount of system resource. These programs can also slow down the system performance and sometime these programs also pass the important information from your computer to the hackers. If we do not take care of the problem on time, these programs can also damage the system files and can lead the system to no boot situation as well. That is why we use antivirus application which can detect and remove such threats from our computer and Norton is one of them. It is a very strong antivirus application which provides complete protection to your computer. Norton is a subscription based service which means you need to purchase the license and then only you can get the benefit of the antivirus application. This also leads to a question that, what if you get a new computer during the antivirus subscription? The first step is to uninstall the Norton Antivirus application from the old computer. TO perform this, you need to go to ‘Start Menu” select “Control Panel” and then click on ‘Add remove programs. This will populate the list of applications installed on your computer and you need to select the Norton. Highlight the Norton application from the list and then click on remove. This will remove the application from your computer and it will ask you to reboot your computer so that the changes can take effect. Now, you need to install Norton application on a new computer. You can do it either by the CD provided by the manufacturer or either by downloading the exe file provided by the download link. All you need to do is to double click on the installation file and it will initiate the installation process. At this point, you will see some screens which will ask you to enter some information. A box will be shown up which will ask you to insert the email account and the password registered with Norton. This information can be pulled out from mynortonaccount.com if you are not sure what information you passed at the time of registering your copy of Norton. You must update the Norton program after the installation is completed because it is going to be a fresh copy of the antivirus and all the updates would not be present in it. You would also need to register your product with new computer and then it is good to go. Computer virus is an infection which spreads automatically in the files and folders if not eradicated. Not only the single machine but it can also spread itself over the network and over the removable media. Most of the Anti-Virus applications that are available these days scan for a fix pattern of bits in any file and decide it to be virus infected or not. This fix pattern is identified by the virus definitions which are regularly downloaded and installed by the Anti-Virus application. This set of Bits is also known as the signature and this is what is matched with the virus definitions installed. There are some Virus available which have their own way of handling such signatures. They change the signature on every hop and so it becomes quite difficult for the Anti-Virus to detect the same. Whatever the techniques may be, but even the legitimate and genuine programmers are working day and night to develop cures for new virus and future immunization, and all we need to do is to keep our Anti-Virus software updated. In this post is will let you know how to stay protected by Virusby keeping our Anti-Virus applications up to date and by installing a good Anti-virus application on the computer. First thing is to get Anti-Virus software for you. There are some big players in the market and you can opt for any of them on the basis of features they carry and the price they have like Norton, MacAfee, AVG, Kaspersky, AVAST. Once you decide which Security Software suites you the best, go ahead and purchase the same. Most of the security software ship you the installation disk but others only offer online download, and this download information is provided to the customer via an Email. Once you have the installation disk or the downloaded installation file, just double click on the setup to initiate the setup process. You can also install the application using the Add or Remove Programs option in the Control Panel. Once the installation is through, make sure that you register the product online so that it becomes capable of downloading the regular online updates. If the product is not registered then it won’t be allowed by the servers to connect to them and download the updates. Please note that you should always update the product before scanning the hard drive because your security software will not be able to detect the latest threats if it is not updated. Make suitable adjustments for automatically scanning for virus and also set schedules for full hard drive scan. This can be done from within the Anti-Virus or from the Windows Task Scheduler. Steps given above will help you in proactively maintaining the security of your computer against Virus threats. This is very important for any computer system, be it a standalone machine or a networked one. Now days, one has to think about security of computer before connecting to the Internet. There are so many virus, spyware and other malicious software present out there that can harm your computer. To avoid the chances of being attacked and to protect your computer against these kinds of virus and spyware attacks, you need to install antivirus software on your computer. There are number of antivirus software available today, they promises to protect your computer completely, but, sometimes they do not work as per the market standard. If you are using internet on regular basis then are very much chances to get infected by dangerous viruses or malwares. Sometimes you want to remove one antivirus but antivirus programs are designed to be difficult to remove. 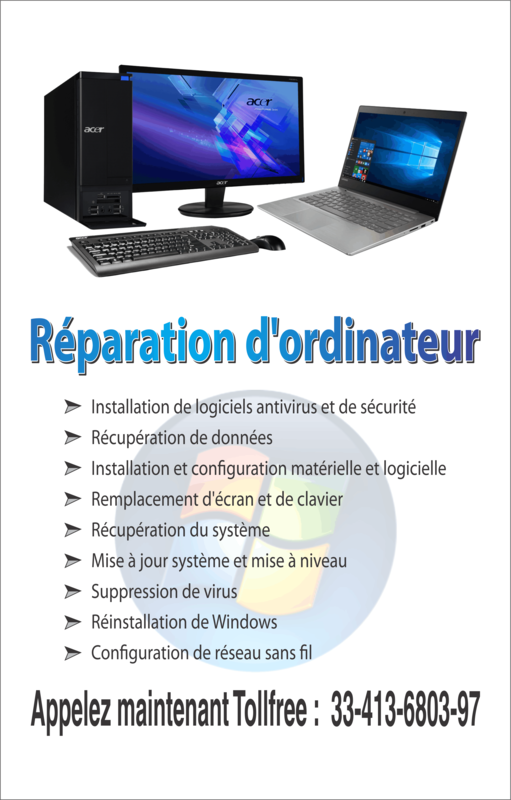 Windows uninstaller may not completely remove an antivirus but you can try it initially. To remove Trend antivirus completely from your PC, you can try the steps given below if the uninstaller is not removing every bit of Trend antivirus. The commands given below will work well with Windows and it can also work with Mac. First step is to click on “start”, then “all programs” and in all programs locate the Trend Micro folder. Select uninstall Trend file, after the completion of uninstall process, restart the computer. You can also use control panel un-installation process. To do so, click “start”, then “control panel”, “add /remove programs”. When you click on the add/remove program icon, after a few seconds you will see list of items or programs. Now locate and highlight the Trend program, click on the program and also click uninstall. If you want some help from Trend vendors then go to Trendmicro.com FAQ support pages. In that page, just locate the questions about removing old or new versions and download SupportTool_32-bit.exe (or _64-bit) from and follow instructions. Now the next step to find and cure any more problems from various bits of trends left behind by editing the Windows registry. We recommend you to get back up before editing the registry because it is the ultimate step and can arouse problems. Go to the Trend micro folder and find any remaining file names, if they exist then make a note of those files. Now go to the REGEDIT by clicking start, “Run” and type REGEDIT in the command box. Before doing that you have to backup the registry files by clicking “file”, “Export” and choosing a location to save registries. Come to the registry edit mode and search for any files related to Trend or any individual file. Just delete each one by clicking “edit” and “delete”. By doing this step you can delete entire files or folders related to Trend Micro. If it is not working then contact Trend Micro Technical support for more information. Sometimes you may feel uncomfortable in editing and deleting these registries, in that case, immediately contact their technical support using the chart. We also recommend you to backup registries before making any changes to them. It is very important step to do, just do not try to delete them using Microsoft Explorer.